Red Ribbon Week took place on October 23rd- October 31st nationwide. During that week students are reminded stay drug free and different activities are done as a result. As for Gilbert High School one of the activities that took place during Red Ribbon Week was Pie throwing at teachers. This took place outside by the stage during lunch. Music was playing and FNL made pudding pies with whipped cream to throw at teachers. Students paid a dollar per pie and could buy as many as they wanted. 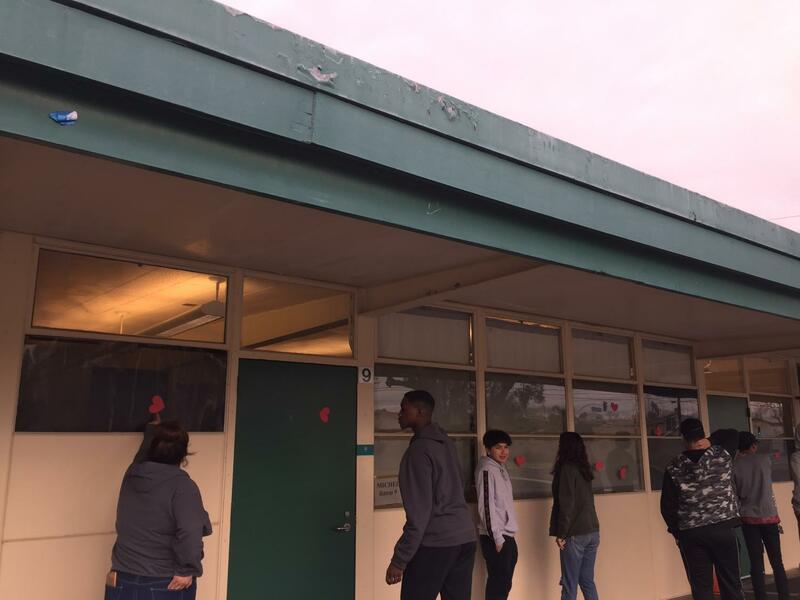 Mr. Cowan ( a History teacher), Ms. Villafuente ( a Math teacher), Mr. Dechene ( ASB and English teacher) and other staff members covered themselves with plastic in order to avoid getting covered in “pies”. They were all seated or standing behind the table as students threw the pies at them.